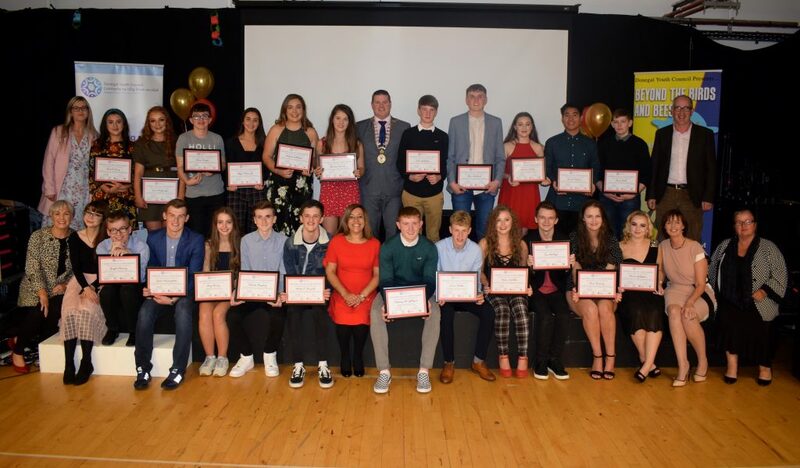 One of the last events of Donegal Youth Council was the Showcase Celebration Event – an event we worked on during the summer. It took place in the Regional Cultural Centre, Letterkenny on September 15th and was attended by proud parents and guardians, project workers and funders. It was opened officially by Donegal Cathaoirleach Seamus O’Domhnaill. The Showcase covered all of the work the Donegal Youth Councillors did over their term. It was an emotional night, Youth Councillors each took turns to share their favourite memories and what the experience on the Youth Council meant to them. Read more about the event, here.